"In a little china house on a shelf in the sitting room, lives a tiny wooden doll no taller than a pin, and her name is Pinny . . ."
The reason behind my life-long obsession with wooden peg dolls, Pinny's House was broadcast on BBC1 from 1986 and told the story of Pinny - a wooden doll no bigger than a pin (hence her name) who lived in a delicate china house on a shelf next to a toy sail boat. Inhabiting the boat was Victor, the smallest wooden sailor in the world, and together the pair would go on fantastic journeys, often with the help of the children of the house - Tom and Jo. The tales were written and illustrated by Peter Firmin who also worked on such children's classics as The Clangers, Bagpuss, Noggin the Nog and Ivor the Engine. 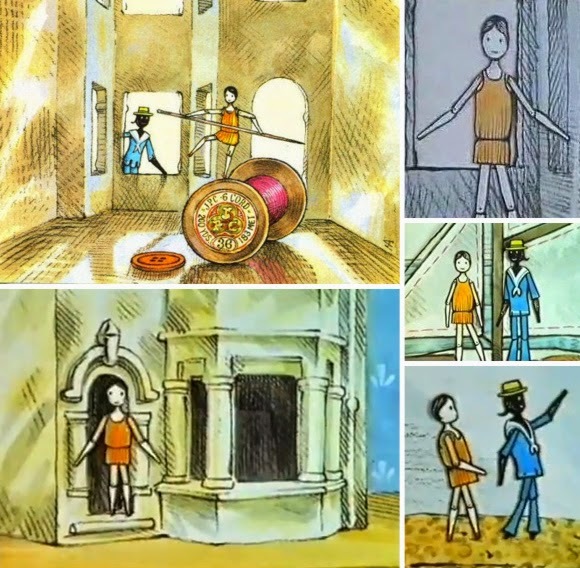 Each tale was animated and directed by Oliver Postgate, narrated by Matilda Thorpe and had music by Ar Log. Sadly it seems Pinny's House is often forgotten, but I remember it fondly and thank it for inspiring me, from a very young age, to find out more about wooden dolls. Though our dolls - Lily, Emily, Jessie and our very own Pinny - are not 'the size of a pin', they are from the same family of wooden dolls and share the same simple design, slim, jointed limbs and painted features. 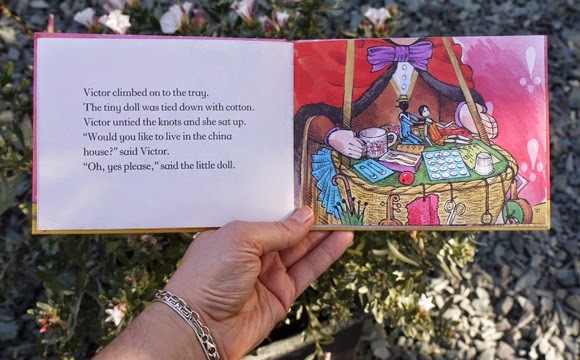 Over the years, I have also picked up three of the five published Pinny's House books - again, written and illustrated by Peter Firmin along with other miscellanea depicting these precious dolls, including a small, vintage mug featuring two dancing wooden dolls. My humble collection all began thanks to Pinny's House - a simple, gentle cartoon brought to life by the brilliant Postgate and Firmin. Long live Pinny! Above: The real Pinny and Victor - crafted by Peter Firmin from wood from a holly tree. 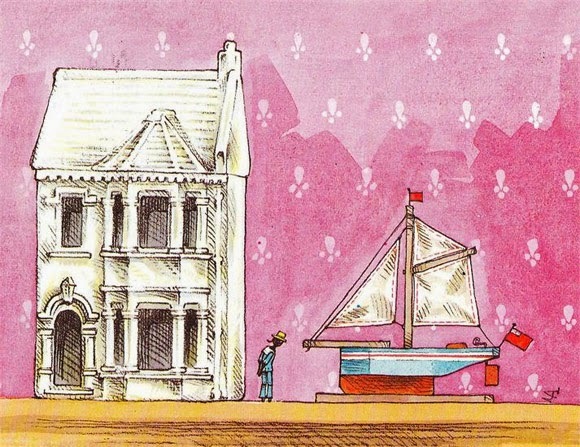 - Purchase Pinny's House prints directly from Peter Firmin. 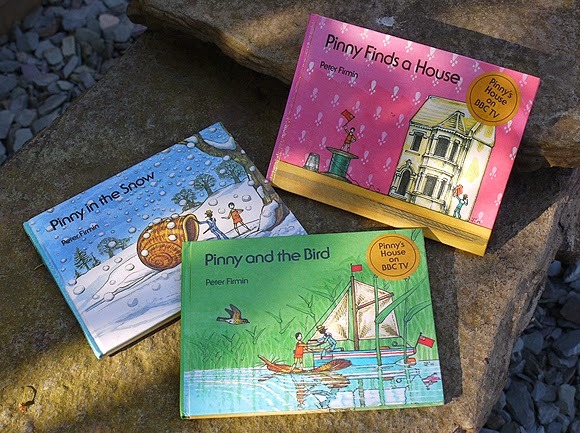 - More information about Pinny's House via Little Gems.